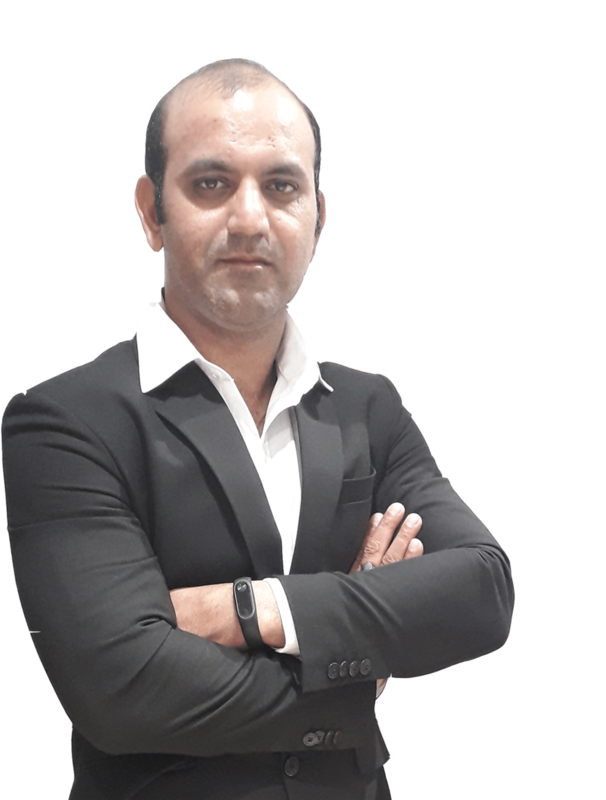 Raheja Srishti - Raheja Developers has launched its new project Srishti in Gurgaon. Raheja's creativity and experience come together to present you one of the finest combination of elegantly planned Low Rise Terrace Apartments & 20 Storeys of architectural excellence in the High Rise, Gateway Towers. With Ground +6 Storeys, Ground till 4th Floor being Simplex apartments and 5th & 6th Floor being a superb duplex apartment. Raheja Shrishti offers wonderful amenities i.e. 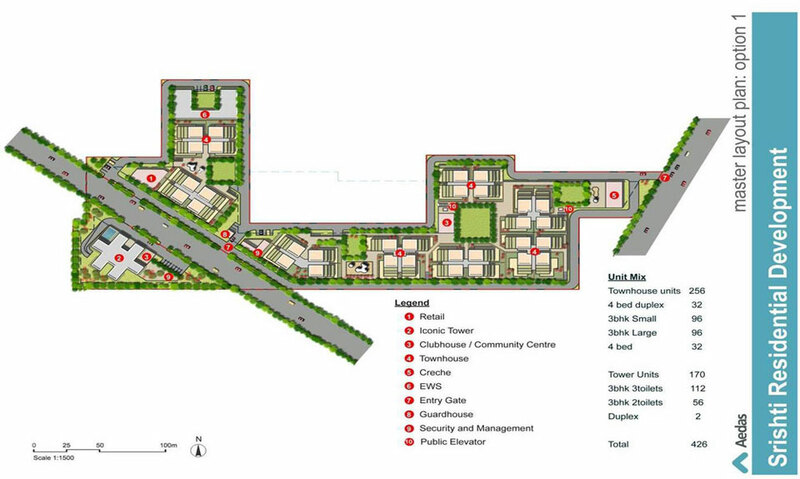 multiple club house, shopping facilities, jogging tracks, business centre, schools, barbeque pits, children?s play area, creche. 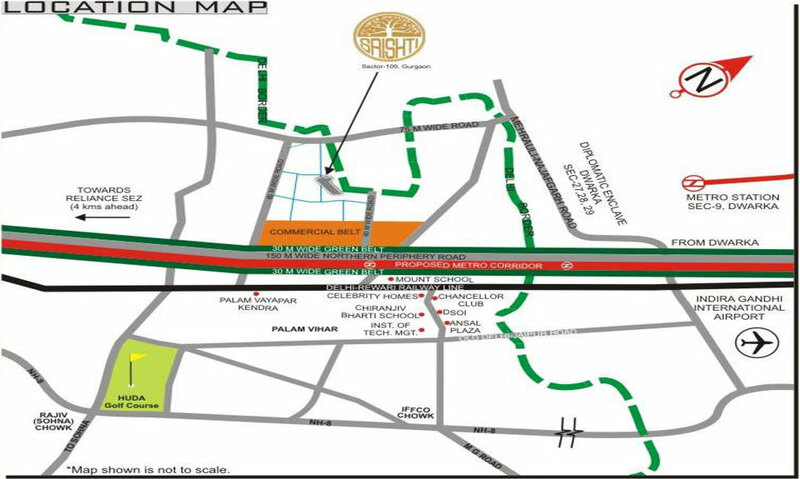 Shrishti is just a stone's throw away from the Delhi- Gurgaon Border. Srishti offers an urban lifestyle at a serene yet central location. Offered in a mix of 3,4 BHK condos in Multistoried Gateway Towers or Independent Floors in Terracehomes. 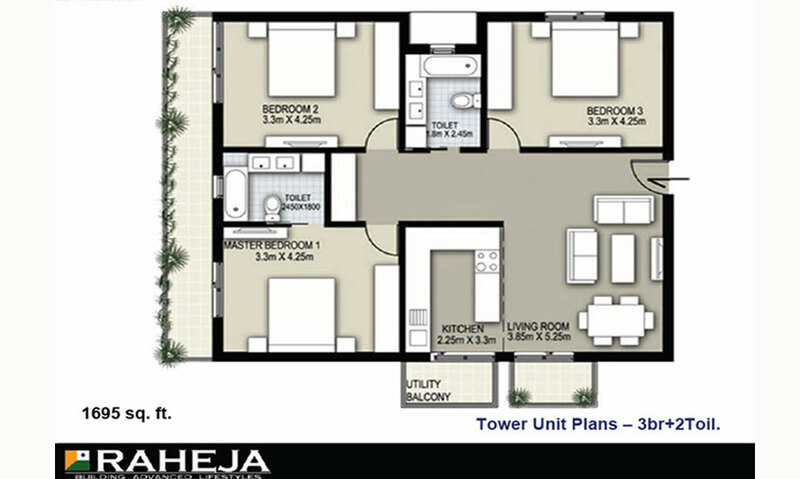 Fully air-conditioned apartments (split units in each bedroom & drawing/dining). State of an art Club house with outdoor sports. Living room and Wooden Laminated Flooring in Bedroom. Indoor sports, spa, steam sauna etc. 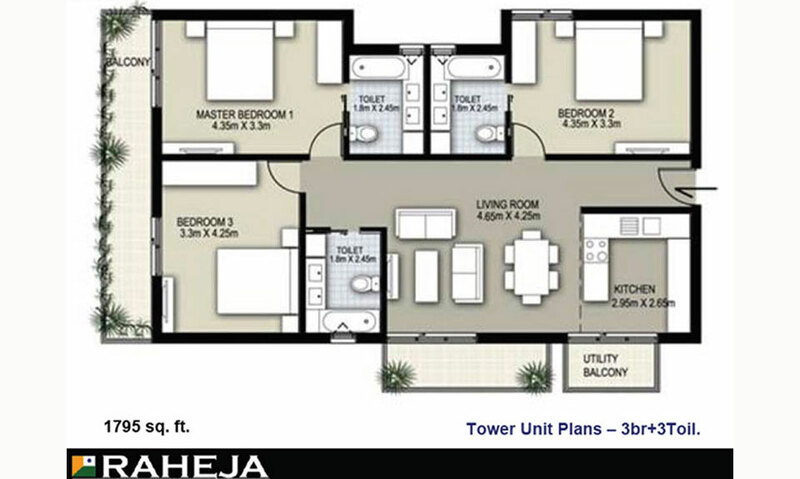 Ultra Luxury apartment with fitted Airconditioner and Modular Kitchen.